THE ELECTRIC COMPANY is coming back to PBS in January. We saw a sneak peek at NCTE this year and I just shared some of the preview clips with my 9 year olds. Looks like a fun, updated version. And it was fun to see some of the same routines (Do you remember, "HEY, YOU GUYS!?"). If you want to see what it's all about, I found some preview clips on the site here. After reading Mary Lee's reading stats, I am sure you can see how lucky I feel to have her as friend and colleague! I remember years ago when she told me about reading 52 children's books a year. I somehow misunderstood and thought she said 26 so I committed to that! She was also the reason that I started to keep track of my reading and the reason that I blog. Thanks, Mary Lee! Somehow, I stopped keeping a reading log this summer. I am not sure how it happened or what happened but I just stopped tracking my reading. I guess I figured that I blogged about almost every book I read so it seemed redundant. But, at the end of the year, I hate not having a record. I hate not being able to look back to see what kind of reader I was in 2008. Which months were great reading months? What were some patterns over the year, etc? It is something I like to do at the end of a year--thinking back to how I've changed as a reader by looking at a blog. But somewhere this year, logging my reading seemed like another job so I took a break. I think I've probably read about 45 children's novels, a ton of picture books and almost no adult novels--1-2 maybe. I feel like 2008 was a great year for reading. So many great children's books that I've read. So many new ones that I am looking forward to. Not sure where my reading life will go in 2009, but I hope to keep up my log again as I am really missing that piece today. During this time of year, I am usually at the bookstore buying a new Self-Help book. A new diet plan, a way to clean the house in 7 days, some plan for looking younger. And every year, I am sure that it will be the thing that helps me to be more efficient. This year, I looked at the self-help book table and sadly enough, I have most of the books they were marketing!? I knew them all quite well and had tried many of them during a recent January Resolution stage. So, I decided that there will be no goals for 2009! No New Year's Resolutions at all. No reading goals. No new diet plan. No new exercise plan. No plans to organize my house. I have come to terms that balance in my life means balance over the course of the year. Some months I read a lot. Some months I don't. Some days I eat really healthy. Some days I don't. Some weeks I am a workaholic. Some weeks I relax more. Sometimes my house is really clean. Sometimes it is a mess. Sometimes I go too long without seeing good friends and sometimes I spend lots of time with them.. And, some years, I am better at keeping track of my reading than other years! I think the biggest thing I've realized this year is that I like the way that this balance happens even if it feels chaotic. I am better at enjoying whatever mode I am. I am happy enjoying what comes my way in 2009 without giving myself the pressure of reading a certain amount of books, losing a certain amount of weight, attending boot camp every day, etc. I hope to do all of those things but without the pressure of a resolution! I am giving myself the gift of a year without resolutions! I have the best brother in the whole world. My Christmas/birthday gift this year was two inscribed books of poetry. Two inscribed books of poetry by former U.S. Poet Laureates to add to my "collection" (Billy Collins and Ted Kooser). One of the two is THE QUARRY, by Richard Eberhart, who was Poet Laureate in the year of my birth. This gift literally took my breath away. Still does. "Poetry is a maneuvering of ideas, a spectacular pleasure, achievement and mastery of intractable material, not less than an attempt to move the world, to order the chaos of man, insofar as one is able. Love, harmony, order; poise, precision, new worlds." I'd catch another bubble if I waited. Thank you, brother of mine, for the gift of poetry, and for a moment of elation! Twenty-plus years ago, a teacher I admired greatly casually mentioned that she read, on average, a children's book a week. In an effort to be just like her, I made a new year's resolution to read 52 children's books that year (not counting picture books). I met my goal that year, and I've met or exceeded that goal every year since. Reading lots of books, keeping track of my reading in literature logs, participating in book clubs, and now, blogging about books, has made me the reader and the teacher I am today. Somewhere along the line, I added an additional goal of 20 adult books per year. I don't always make that goal. I won't this year because of all my reading for the NCTE Notables committee. There have been years when I challenged myself to read more nonfiction, and in 2009 Franki and I will be challenging ourselves to read more diversely. Mary Lee and I joined Twitter while we were at NCTE and have been trying to figure it out ever since. Joining Twitter was partly because of the things we learned at NCTE's Annual Convention and our commitment to really think about what this means for our classrooms. It is all part of Stretching Our Own Thinking. I have been Tweeting (that might be the correct verb?) for a little over 5 weeks. I thought I'd take a minute to reflect. After the first few days, I was ready to quit. I hated it and decided that it was a huge waste of my time. But I knew that frustration would be part of the learning curve so I decided to give it a good try for 6 months. Now, 5 weeks later, I am pretty comfortable with it, it is much easier to navigate and I am finding it pretty useful and much less time consuming. It helped that several of my already-made friends joined. It also helped to get some advice from friends who had been part of Twitter for a while. But mostly it was about figuring out how it worked, how to navigate the huge amount of information, what to ignore, etc. Today, Twitter only takes a few minutes now and then in a day. I find lots of great links and have learned lots from people I would have never learned from. I'm not saying that I love it yet. But I do see that it is worthwhile and that it will get easier over time. I think sometimes, as teachers and adults, when we don't see the benefit of something right away, we toss it out and that is a huge mistake these days. So many tools we could be using for our own growth and for our students. So, I am going to continue to keep Twitter as part of my days for at least 5 more months, knowing that I will learn more as the time goes on. And this month, I think I'll explore NINGs just a little bit. See what that is all about. If you are a Twitter person, let us know. Or find us at Franki22 and MaryLeeHahn. Ali at Diverse Books has posted a reading challenge for 2009 that we are both going to commit to. Ali says, "The point of this challenge is to ensure racial and ethnic diversity in the authors that we read." There are lots of ways to participate. But no matter how you decide to participate, you will be committing to reading more books by authors of color. It sounds like the people at Diverse Books focus more on adult books but this would be a great challenge for those of us in the Kidlitosphere. Second, over at Literate Lives, Karen and Bill are counting down to the announcement of the Newbery with a daily post on a possible winner. Go check your reading and your opinions against theirs. What's with all these books about bullies all of a sudden, you're wondering. I'm wondering that, too. I finished The Savage and picked up The Girl Who Could Fly, never expecting to find more bullies. being can fight; and never stop fighting. This is the story of Piper, a girl who can fly. She is gently pressured by Dr. Letitia Hellion into going to a special school, an institute, where there are others like her. She is told it is a place where she will belong. She believes and trusts Dr. Hellion, only to find out later that Dr. Hellion is not any kind of friend. Learning that kind and caring adults are actually cold and calculating bullies is a scary twist. One of the first children Piper meets is Conrad, a bully who is instantly bent on her destruction. Later she finds out that Conrad is her best friend. Instead of a place where Piper will be able to develop her unique abilities, the institute's mission is to erase the special talents from each child and make them "normal." Against all odds, Piper has integrity. She stands up f0r what is true and right, not just for herself, but for all of the children at the institute. I had just finished the Shredderman series when I picked up The Savage. Here's a completely different take on bullies and how to deal with them. I won't tell you lots about the story in The Savage. Sorry. It's one you have to read for yourself. And see for yourself. It is a graphic novel hybrid (an "illustrated novel") with bold, disturbing, beautiful pen and ink drawings. I will tell you that The Savage is about a boy named Blue Baker, probably late elementary or middle school aged, who is getting over the death of his father. To do this, he writes a story about a savage boy who lives in a cave under the ruins of a chapel in the woods. And The Savage is a story about how Blue deals with a bully. The bully in this book is a much harder, scarier bully than Alvin "Bubba" Bixby in Shredderman. Hopper walks around "smoking and sneering and spitting and swearing." In the course of the story, he turns downright vicious toward Blue. But Hopper is quieter in the end of the book, "not quite so stupid, not quite so horrible." And you'll have to read the book to find out how that happens. MY ONE HUNDRED ADVENTURES Is a book that is showing up on several Mock Newbery lists and one that I wanted to be sure to read before the Newbery announcement on January 26. Let me say that I would be VERY, VERY HAPPY if this book wins the Newbery. I love it. It is DEFINITELY one of my favorite reads of 2008. I am not sure how kids will respond to it or whether it should be in a K-5 library. It seems like 5th/6th/7th grade for me. I am not so sure about the age 9-12 marketing--not sure that the issues aren't above 9-10 year olds. I don't think that matters though--it deserves every starred review it has received--and it has received many. I have always been a Polly Horvath fan. EVERYTHING ON A WAFFLE hooked me to her work right away! This is by far her best, in my opinion. It seems to be a tiny bit different from her other books. 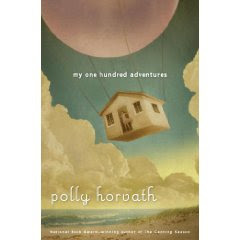 MY ONE HUNDRED ADVENTURES still has the quirky characters and events that make Horvath's books unique. But there is something about the writing of this book that makes is more powerful than the others. It just seems to have a different feel--if that makes sense. "The library in summer is the most wonderful thing because there you get books on any subject and read them each for only as long as they hold your interest, abandoning any that don't, halfway or a quarter of the way through if you like, and store up all that knowledge in the happy corners of your mind for your own self and not to show off how much you know or spit it back at your teacher on a test paper." "They wear hats with fruit on them. When I get bored I stare at their fruited hates. I wonder if we can convince some of the younger old ladies to take up fruited straw hats. Like passing the torch. Or will they regard this as some kind of next-in-line-for-the-tomb designation?" "Suddenly I realize that everyone in the whole world, is, at the end of a day, staring at a dusky horizon, owner of a day that no one else will ever know." "No one really understands a family but the people in it and even they each understand it differently." "We all belong here equally, Jane...Just by being born onto the earth we are accepted and the earth supports us. We don't have to be especially good. We don't have to accomplish anything We don't even have to be healthy." I do this often when I read great books. Tab pages of lines that I love, that I want to revisit. Then, when I am finished with the book and am having that feeling where I wish I wasn't quite finished, I go back and reread the pages that I've tabbed, looking for the lines I've loved. It is a great way to reexperience the book and to reread some of those favorite lines. A habit I started when I read WALK TWO MOONS years and yeas ago. Only when the book has lots of lines that seem to hit me as wanting to go back to. I love this book and would love to see it win the Newbery or any other award. It is one that has great characters and great messages about life and people. I was lucky enough to be seated at the same table as Wendelin Van Draanen at the Random House dinner at NCTE back in November. She's an author who's been in my peripheral vision for a long time (Sammy Keyes mysteries were a favorite of a former colleague; Franki has talked about Shredderman) and it was good to meet her and hear about her books. The Random House crew set aside arcs for me of her new spin off (from Shredderman) series (on the "to be reviewed" pile, I promise), and, being the reader that I am, I went out and bought all four of the Shredderman books so that I would a) check out some books that will likely be perfect for a handful of readers in my 4th grade classroom, and b) understand the origins of The Gecko and Sticky. In case you don't know Shredderman, it's about a geeky kid named Nolan who, along with his classmates, is tortured by a bully named Alvin (nickname, "Bubba"). Nolan creates a superhero named Shredderman and builds a website devoted to "truth and justice." On the website, he "gives bullies what they deserve." Nolan is clearly the good guy and Bubba is bad to the bone (mostly, but it takes most of the series to discover this). Nolan is clearly doing what he does on his website to make the world a better place. Nolan is a self-proclaimed cyber-superhero, via Shredderman. And I keep having this little niggling thought that the tactics Nolan has used boil down to cyber-bullying. Maybe I'm being too left-brained about this. I'll chat with my students after they've met Nolan and Bubba and Shredderman and see what they think. In the meantime, there are some powerfully good messages about believing in yourself, playing to your strengths, following your dreams, and the power of niceness over meanness. Shredderman's website, including a webquest and activities to download for each of the four books in the series. Will do for me;—I laugh at show. But all must be of buhl*? Are you laughing? Are you blushing? Are you still going to go out and spend, spend, spend on more stuff ("but little") so that you can single-handedly save the U.S. economy? Or are you going to stay home and practice contentment in your hut with your few (fifty score in daily use) books and your one recumbent chair? Oliver Wendell Holmes did a pretty good job of making fun of us from back in the 1800's when, apparently, things weren't much different than they are now. Just less digital and electronic. I found this poem by searching the Poetry Foundation archives. You can find more poetry today at the Poetry Friday round up at The Miss Rumphius Effect. *Buhl is a decorative type of marquetry of patterned inlays of brass or tortoiseshell, or (occasionally) other materials, used on chiefly French furniture, from the 17th century. I had HIGHWAY CATS on my list of books I had hoped to read before the Newbery announcement. I finished it today and it was a great read. I love lots about the book. It is the story of cats--stray cats who live near a highway and some new kittens who give them all hope. A very sweet story with great characters. I am not one to love books where animals are the characters and they talk to each other and things. But, I liked this book and believed in these characters. My thinking during reading the book was that it would make a great read aloud for 3rd and 4th grades. The kids would like the plot-the cats are trying to protect the land where they live. But they'd also be able to talk about the characters and themes. So much about being true to who you are. The book is short--just over 100 pages which I think makes for a great length read aloud. It is also a great length for kids who are working to build stamina to read longer books. Definitely a great book for anyone who loves a good animal story. This book is being talked about on lots of Mock Newbery sites. Jean Taylor Lisle shares some insights in an interview on her site. I will definitely be adding it to the school library. I am a Helen Frost fan. I especially love her book SPINNING THROUGH THE UNIVERSE. and read that one aloud to my 5th graders. DIAMOND WILLOW is am amazing book. I can see why it is on so many Mock Newbery lists. The story has lots of layers, as all of Frost's do. And the layers and depth are accessible to kids--which I like. The story is the story of a girl and her sled dog. It is also a coming of age story. Frost tells the story in diamond shaped poems--one per page. And she uses bold text to give us a stronger message on each page. Frost tells the story from several perspectives--both people and animals. So much I like about this book. I have to love the characters to love a book and I LOVE this character, Willow. I also love the dog (and I don't love all dogs.) I love the metaphor of the diamond willow and I love the layers of meaning that are there for readers. A quick read because of the format but definitely one I'd want to read again. And one I'll put in the school library. 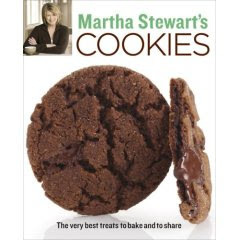 I just picked up this great new cookie cookbook--MARTHA STEWART'S COOKIES. I am not one to pick up a Martha Stewart Cookbook. It all seems like far too much work for me. (just look at her prop room...). But when I saw this book, I knew I had to have it. Cookies are really the only thing I like to make/bake/cook. And I love to try new ones. This book is full of 175 cookie recipes-with photos! The Table of Contents is quite fun--photos of the cookies with the page numbers. I am going to force myself not to try any of these before I make my last cookie trays but I can't wait to go through it and find a few new cookies to try in 2009. Definitely excited about this one! THE GRAVEYARD BOOK is one of the books being discussed on many Mock Newbery sites. So, I put it on my next read stack. I enjoyed Coraline and heard that this one was even better. This is my first report on my Newbery Readiness Reading. A few weeks ago, I posted a list of 5 books that I'd like to have read before the Newbery is announced. Well, my pile has grown and I finished the first on the list. I will report out on the books that I do read before the January 26 Newbery announcement. The reviews won't be long because -by this point--so many others have reviewed them. I'll give you my general feeling and a few links to let you decide if the book is worth reading. THE GRAVEYARD BOOK is a great book. It is a spooky kind of ghost story which is not my favorite genre, but I am a character reader and this is definitely a character-based book. Nobody Owens ("Bod") escaped being murdered as a child when he escaped to a nearby graveyard. The ghosts in the graveyard decide to raise him and keep him safe and he lives most of his childhood in the graveyard. But as he grows up, he wants more from life than the graveyard can give him. He learns that life beyond the graveyard is a scary place but that living life is worth it. I have built quite a good little collection of wordless picture books so I was thrilled to pick up a new one yesterday at Cover to Cover. It is called LAST NIGHT by Hyewon Yum. The illustrations are gorgeous and the plot is a simple ones that kids will be able to follow easily. The idea of the book reminds me a bit of WHERE THE WILD THINGS ARE. A little girl does not like her dinner so has to go to her room. There, she goes to sleep. She and her bear have a great adventure and she wakes up feeling much better. A great simple book that you may want to check out if you like wordless books. We have been lucky to have lots of great new wordless books this year! Zorgamazoo is a novel in verse, but not at all like the ones you're used to. Zorgamazoo is one poem. One 283 page-long poem. In rhyme. Rhyming couplets that can't help but remind you of Dr. Seuss at times. Dr. Seuss rhymes with a little Roald Dahl thrown in -- the main character, Katrina Katrell, is a spunky little girl who has been abandoned by her rich and disinterested parents to the care of an evil guardian who wants to have Katrina lobotomized. The book design has hints of Geronimo Stilton, with fonts of varying size and style used to enhance and illustrate the telling of the story and keep things moving along briskly. Katrina's fate intertwines with that of Mortimer Yorgle, a zorgle who is rather a stick in the mud compared to his adventuresome but failing-in-health father. Katrina bravely runs away from her evil guardian and Morty wins a lottery whose prize is a quest to discover what's happened to the zorgles of Zorgamazoo. Luckily, Morty gets lost and winds up in the same dark, deserted subway station as Katrina, just in time to save her from a gang of thugs. After hearing Morty's story of the lost zorgles of Zorgamazoo, Katrina begs to join him in his quest (having nothing better to do and no home to return to, after all). The story gets more and more convoluted, as our characters find themselves (and the zorgles of Zorgamazoo) trapped on the moon, and the struggle of good vs. evil takes the form of enchantment and imagination vs. boredom and tedium. Yes, I have read over what I have written, and yes, I am aware that it sounds like I am babbling. This book defies any kind of description that makes complete sense. You'll just have to get a copy and read it. It might make a fabulous read aloud, but only if the listener is snuggled up beside you and can see the pictures and the way the words play around on the pages. Visit the Zorgamazoo website to meet the characters, read an excerpt, and get ideas for using the book in your classroom. Robert Paul Weston blogs at Way of the West. Examples of illustrator Victor Rivas' illustrations are here. Reviewed by Ali at Worducopia and Fate at The Fickle Hand of Fate. 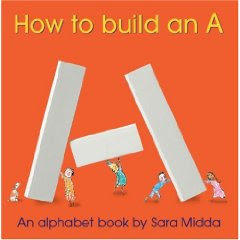 I just picked up HOW TO BUILD AN A by Sara Midda. What a great book! It is a must have for preschool-grade 1 classrooms and it would also make a great gift for a young child. The book is red, small and square. Very inviting for small hands. Each spread has simple text on the left side with an illustration on the right side. For example "F is for flower". The font is PERFECT for children just making sense of text. It is large with space between the words. There are no fancy/crazy letters. (I checked the "a" to make sure!) And because the pattern of text is the same on each page, it will be one that kids will begin to read on their own. The illustrations are stunning yet simple. Great art but also easy for kids to use as clues when reading. Below each sentence of text, is an illustration of a child is "building" the letter. And the fun of this is that the book comes with all of the blocks necessary to build every letter so children can build along on every page! With a nice netted bag to store them in. Really, this book has it all. Great illustrations, patterned text, a perfect font, and a way for kids to build along with the book. I can see kids using this in different ways for years as they grow as readers. Same with teaching, don't you think? And parenting, although the music only pauses for the briefest moments. And Solstice parties, after all the guests have gone. Come to think of it, any creative act qualifies. So go forth and "make some music," but be sure you pay attention to what happens after the "music" stops. 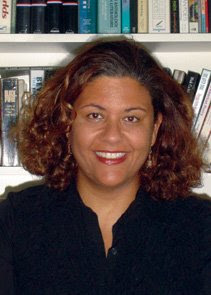 Barack Obama, perhaps the most literary president-elect of recent years, has chosen his friend, the poet Elizabeth Alexander, to read at his inauguration on 20 January. Obama had been spotted carrying what appeared to be a book of the Nobel laureate Derek Walcott's poetry last month, but it is Alexander, a professor of African American studies at Yale University, who will compose a poem to be read at his swearing in as president. She will perform alongside Aretha Franklin, Itzak Perlman and Yo-Yo Ma. The participants were chosen based on requests from Obama and from vice-president-elect Joe Biden. She will be contending with the spectres of Angelou's On the Pulse of Morning ("today I call you to my riverside, / If you will study war no more"), Williams's Of History and Hope ("We have memorized America, / how it was born and who we have been and where") and Frost's The Gift Outright ("Summoning artists to participate / In the august occasions of the state / Seems something artists ought to celebrate. / Today is for my cause a day of days. / And his be poetry's old-fashioned praise / Who was the first to think of such a thing."). Her poem will be a gift to Obama, and to the nation as well. It will add to the ritual of the inauguration, and it will elevate the already historic event. Can you imagine what it would be like to compose a poem that will be referenced in the same breath as Angelou and Frost?! Check out Elizabeth Alexander's website here. Hear her speak on the Poetry Foundation podcast. The Poetry Friday round up this week is at Author Amok. 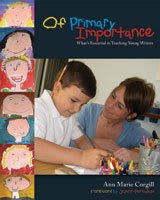 We just started a study group at our school discussing Ann Marie Corgill's book on Writing Workshop--OF PRIMARY IMPORTANCE. We'll be blogging on the Stenhouse blog about our discussion. We met for the first time last week and posted our first post today. I have had these on my pile to review for a few weeks. It is hard to find nonfiction books for young readers and I am not sure these would technically be considered nonfiction, but they are nonfiction-type books. True information written for young children. Both are about topics that kids will love and I am excited to add them to the library. MY FIRST AIRPLANE RIDE by Patricia Hubbell is a story of a child's first airplane ride. The story takes us from the initial invitation from Grandma to come visit, to packing, to driving to the airport, going through security, and more until the plane finally lands and Grandma is waiting! I love the details of this book and the fact that it would help a child new to flying know what to expect--the stewardess letting them know what to do. The air traffic controller telling them when it is okay for takeoff. So many great details told in very simple sentences. The illustrations help to alleviate any fear a child may have of flying. Everything is colorful and happy. This is a book I'll add to our library and one I will keep in mind as a gift for a child getting ready to go on a trip, or a child who loves planes--so many kids who will like this one! The other book is POLICE: HURRYING! HELPING! SAVING! by Patricia Hubbell. In this book, each page lets the reader know something new about the police. It includes so many of the things kids see policemen and policewomen doing in their cities as well as things they might not see (such as policemen in boats). Police dogs, traffic cops and more are included. Again, the illustrations make this a colorful and happy book and will help children understand the role of police to keep us safe. Both of these books came from Marshall Cavendish Children's Books. The stepsisters spent the whole week shopping. They bought expensive outfits, an enormous amount of jewelry, and some very large hats. They thought they looked beautiful! The illustrations and size also make this a good book. This is thicker than a normal picture book so it may appeal to transitional readers. The illustrations by Niamh Sharkey are colorful and fun. I can't decide whether the shorter stepsister or the Fairy Godmother is my favorite. They are both pretty amusing. There are also little hidden things in the illustrations that add to the fun and humor. Sharkey's blog is definitely worth a visit. Love his art and can't wait to see what is next. I do buy lots of new versions of old favorites but (I think) this one is the first Cinderella book I have purchased since I purchased Cynthia Rylant's retelling. Both are very different but definitely needed in a collection of newer retellings of this story. I am still working on sharing all of the great books I found at NCTE's Annual Convention. One series that I am especially excited about is a new one by Sharon Draper. The first book in the series is called SASSY: LITTLE SISTER IS NOT MY NAME. I read this advanced copy on the plane on the way home and think it will be a great addition to the series books that highlight strong girl characters. Sassy is a fun character and you can tell that from the front cover. Sassy is a child who matches her name. Early in the book she says, "My mom says she gave me that name right after I was born, when she first took me in her arms, and I stuck out my tongue at her. 'What a sassy little princess you are!' she said right then and there." 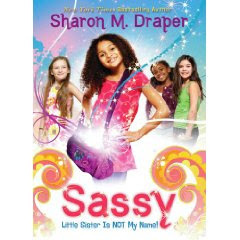 But the problem in this book is that no one uses Sassy's name when they talk to her. They call her Little Sister and she is tired of it. 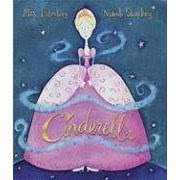 The book is a good one for children in 3rd and 4th grade and the character is one that is very likable. The plot is one that is easy to follow--not lots of layers but also not shallow. This is how I came to know about this book. I am now using Google Reader and Google Alerts. I found that Angela Maiers connected to our post on 21st Century Literacy in her own thoughtful post about the topic. She shared 4 links of posts were related to hers. I followed them. One of the links led me to a post called "Transcending through Connectedness" on another 21st Century Learning blog. She begins her post by saying, "Have you ever noticed how these powerful 2.0 tools really do transcend time and space?" She then shares a video clip sent to her by someone else--a videoclip that I'll share here because I immediately had the urge to share it with everyone I know. 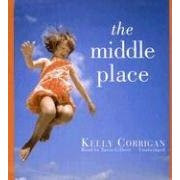 Then I went to Kelly Corrigan's website and blog which led me to her book on amazon. Amazon had yet another video related to the book. So, I am sold on the book and fascinated by the way I came upon it and how connected I already feel to the book and the author and all of the blogs that led me there. And then I wanted to make sure everyone I knew also knew about this book, so here I am telling you:-) Who knew? Have you seen John Green's Youtube video announcing December 17th as YOUTUBE Project 4 Awesome day? If not, check it out here. Author James Preller interviews Karen and Bill of Literate Lives. Very fun. Lots of illustrations. Newbery Readiness--So Many Books, So Little Time! So, as you all know, we are never right in predicting the Newbery and I have learned that I can never read all of the books that I read about that are possibilities for the award. But I do think it is fun to read and guess and pay attention to all of the conversations going on about the award. I have been following several Mock Newbery sites and cannot possibly read all of the books that are listed on multiple sites. Really, I have no idea how the committee does this work. To narrow the list for myself, I really want to read those books that will make good additions to our library collection. So, I've decided to set my goal on reading a few that sound like they'd be great for the kids at my school. So, here are the five that I am hoping to read before the Newbery is announced in late January. I'll keep you posted. * Write this sentence - either as a comment here or on your blog (link back to us by replacing the trail link with this blog’s link). * Don’t look for your favorite book or your coolest but really the nearest. The book nearest me right now is ZORGAMAZOO by Robert Paul Weston. The 5th sentence...well, that's not as easy as it would seem. This is a novel in verse. Not the kind that is made up of many poems that tell a story. This one is one novel-length (rhyming, even!) poem. The fifth line on page 56 is "It was then to his horror that Mortimer knew". The fifth sentence on page 56 is "He couldn't just sit there, he couldn't just wait." I've only read to page 42, so I'm not even sure what's going on on page 56. But I followed the rules and picked the book that was closest to me. Now I'll cheat and check the second closest book, THE SAVAGE, by David Almond. "The savage lowered his ax." That was a great moment--a turning point in the book. I like that one better. Now you try it. If you post, come leave a link in our comments, or just put your line in the comments, whichever works for you. He should have growled right back at ’im. For the punchline, go here. I chose this poem in honor of our cat, Willie Morris, who sees a lion when he looks in the mirror. He has the same problem with his teeth and with being petted as the lion in this poem. Elaine has the round up this week at Wild Rose Reader. There are innumerable things I SHOULD be doing right now, but instead, I just added 14 new blogs to my reader. Bon Apetit made me do it. This is a very punny book. It lives to pun. Study the cover carefully to get an idea of what you're in for when you open the book: Handsel and Gretel, Handerella, Thumbelina, and Nose White. Yes, these characters are what their names imply: hands, a thumb and a nose. In this version of Hansel and Gretel, the two children are a couple of unlikeable, misbehaving knuckleheads. They get what they deserve when they're sent by the fed-up coach to beyond the outfield to play catch. In the midst of their arguing about whose fault it is that they are lost, Handsel and Gretel bump into a house made of finger food ("Free Finger Tip: Never Nibble a Stranger's House"). In the house lives an evil witch who escapes from the hand of the law and disguises herself in the next story as Handerella's stepmother. Yes, STEPmother and STEPsisters. They aren't hands, they are feet. (Are you groaning yet?) I'll skip all the details, but true to form, Handerella gets the prints in the end (Finger Prints) and they ride off into the sunset together while the witch makes her way into Thumbelina's story: "Thumbelina was short. And so is her story." In the last story, the witch's mirror finally cracks under pressure and admits that Nose White is the most beautiful in the land. The queen tries to get the hired hand to punch Nose White out, but he is peaceful and just lets her go in the forest. Nose White meets a one-hand band and becomes their lead singer. The witch finds out that Nose White's still the most beautiful, tries to get revenge with dandelion fluff, is foiled by a handsome prince with a handkerchief, and winds up climbing out the window in the back cover of the book to find a new story. Adults may or may not like this book; it is one of those books whose true test will be in the hands of children. I'll check back in to let you know what my 9 and 10 year-old beginning punsters make of it today. A lot of wishing happens at this time of the year. It starts with the elections and the turkey bones, and it progresses to letters to Santa and New Year resolutions (a sub-genre of wishing, don't you think?). Sometimes wishes are addressed to a recipient (Santa), but when they're not, where do they go? What's the difference between wishing and asking? What's the difference between wishing and hoping? Are blessings just wishes you make on behalf of another person? Do you remember when you stopped wishing and started setting goals that you worked on to make happen? WISH: WISHING TRADITIONS AROUND THE WORLD is the book that got me thinking about wishing. It's a beautiful book that introduces the reader to wishing traditions from 15 countries around the world, from Ireland and South Africa to Guatemala and Brazil. Each tradition is explained in a rhyme with a short paragraph of information and a gorgeous colorful illustration. In the back, there is a small amount of extra information about each tradition. It is more than a little amazing to learn that some wishes we take for granted (birthday candles on a round cake) have origins in ancient Greece, while others, such as wishing with coins, are universal. This book demonstrates that humans have always and will always attach meaning to symbols. So go ahead and make your wishes during this season of wishing, and deliver them to the hands of Santa or your loved ones, your own heart or the universe at large. Your wishing connects you to all the other past, present, and future humans on this planet. "I want my sons and the kids I teach to understand that heroes aren't necessarily people who ride in limousines, or make lots of money, or have been gifted with athletic ability. Instead, I want them to understand that heroes are ordinary people who show extraordinary courage and character in the face of difficult situations." Jeanette Winter, who also wrote THE LIBRARIAN OF BASRA, teaches us about another determined woman who changes her corner of the world, one tree at a time, in her new book, WANGARI'S TREES OF PEACE. Wangari Maathai grows up in a green, forested Kenya. When she returns to Kenya after being in America for six years of studies, "Wangari sees women bent from hauling firewood miles and miles from home. She sees barren land where no crops grow." First she begins planting and tending baby trees, then she starts a tree farm. Next she involves village women in the planting efforts. The word spreads. "The government men laugh." The women ignore them and keep planting. Wangari is jailed for protesting the destruction of old trees. The women keep planting. Between 1977 and 2004, "thirty million trees had been planted, six thousand nurseries existed in Kenya, the income of eighty thousand people had been increased, and the movement had spread to thirty African countries--and beyond." In 2004, Wangari Maathai was awarded the Nobel Peace Prize. Jeanette Winter, please bring us more stories of hope and heroes like Wangari and the librarian of Basra. A couple of weeks ago, we blogged about a shift in our blog reading and our professional thinking. I thought I'd check in and let you know how that's going with me. One of the shifts that seemed likely to happen while we were at NCTE was that I would become a 21st Century cellphone user. I was around people who text, tweet, chat, and check email by phone. People who would be lost without their cellphone. Me? Oh, I have one. It's off most of the time unless I'm traveling. I can't pull a signal in the empty part of CO where my mom lives. I can text and talk, but nothing else -- no email, tweets, or even photos. So it was obvious: if I was going to participate in the 21st Century literacies of cellphone usage, I would need to ramp up my phone. I did a bunch of research over Thanksgiving break, and here's what I found out: connectivity costs. Big time. About $70 per month (for the two companies with signals strong enough to get to my hometown), and that's not counting the $50-$200 for the new phone. I'm thinking it's a lot healthier to use all that $$ for my health club membership. You see, currently I pay $25 every three months for my GoPhone plan and I regularly roll over most of my balance--I don't even use $25 every three months. So much for the cost comparison. Now, what about making the shift in the way I use my cellphone? Here's my one positive move in terms of "stretching my thinking"--I'm no longer on the verge of Twittering. I tweet. This is something I can do with the computers I already own and the Internet access I already pay for. And Twittering can be used to make the world a better place. NCTE announced the 2009 NCTE POETRY AWARD at this year's convention. Lee Bennett Hopkins is the 15th winner of this award. He will be honored at the 2009 Annual Convention at the Books for Children Luncheon. "The National Council of Teachers of English wishes to recognize and foster excellence in children's poetry by encouraging its publication and by exploring ways to acquaint teachers and children with poetry through such means as publications, programs, and displays. As one means of accomplishing this goal, NCTE established its Award for Excellence in Poetry for Children in 1977 to honor a living American poet for his or her aggregate work for children ages 3–13." My all-time favorite Lee Bennett Hopkins book is GOOD BOOKS! GOOD TIMES! I also LOVE HAPPY BIRTHDAY! The round up this week is at Mommy's Favorite Children's Books. Our Favorite Time of Year--ELF YOURSELF TIME! It's that time of year again---ELF YOURSELF TIME! This year there are lots of added features! New dances, a place to save your elves and products you can buy. Very, very addicting. I would HIGHLY recommend that you give it a try. Or several! Joke books are quite popular in the library. I have never been a huge fan of riddles but I do love word play and I think these books are great for kids as they learn the fun of playing with words. Simms Taback, a favorite illustrator of mine, has a new book called SIMMS TABACK'S GREAT BIG BOOK OF SPACEY SNAKEY BUGGY RIDDLES. The riddles are written by Katy Hall and Lisa Eisenberg and are perfect for the youngest children. The riddles are a bit corny--just the way kids like them! And the illustrations make the riddles even funnier. Each page gives us a riddle such as "What kind of jacket would you wear on the sun?" with an accompanying illustration. In small print, under the riddle, the reader finds the answer (A blazer!). The format of this book is great. Often kids get overwhelmed with pages and pages of jokes and riddles and so many joke books are not written for new readers. But this book gives us one riddle per page. It is easy to navigate and can be read completely in a rather short amount of time. I am excited to add this one to our library. I just wordled the NCTE Framework for 21st Century Learning and Assessment and it is so interesting to see what came up. 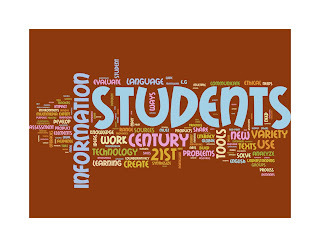 You can see that students are at the center with lots of other things being important. An interesting way to think about this and how we can use the framework to reflect on our work. Karl Fisch has an interesting post on the reflectiveness of teaching and how important it is that we reflect on our own learning. For so long I thought 21st Century Literacies/Learning was all about technology. But the NCTE definition was something I could totally believe in because technology was only a small piece and there are so many other important pieces. I think I finally have my head around some vision for what literacy learning can be for kids if we embrace some of these things. 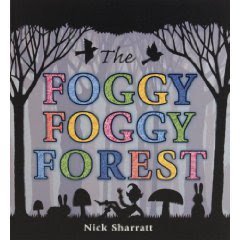 Another great book for young readers is THE FOGGY, FOGGY FOREST by Nick Sharratt. I picked this book up last week and was immediately amazed at the illustrations. They are done with a semi-see-through type of velum. The book starts out completely in black and white and kids can predict the things they see in the shadows (or fog). The first page asks, "What can this be in the foggy, foggy forest?" When children turn the page, they find a colorful illustration of the object they first saw in the shadows. A simple sentence accompanies the colorful illustration. I loved this book because of the unique illustrations. I can also see that it is inviting for young readers because of the repeated question on every other page and the picture supports for the remaining text. There are also some familiar characters lurking in the foggy, foggy forest that make it even more fun. I am anxious to share this one with my students this week. We have dabbled in using more technology in the classroom and have been interested in learning more about authentic uses of new tools for our students. Our big goal is to make sure our use of 21st century tools matches our philosophy about how children learn language. For the last several years, we've both been reading and thinking about what it means to be a literacy teacher these days. How do we best meet the needs of our students? The NCTE Annual Convention themed SHIFT HAPPENS helped us to solidify our thinking a bit and to see new possibilities. We have silently followed a few blogs--listening in on the thinking of some key tech people who seem to share our philosophies. We have learned lots and also realized how very much we have to learn. So, we have decided to dedicate more of our blog time to following the thinking of this group. We are adding a few of those that we have been reading to our blogroll and hope to find many more as we listen in on the tech network. We have had Bud the Teacher on our blogroll for some time and appreciate his role in helping us think through our changing roles. We have also followed Karl Fisch's blog, The Fischbowl and were fortunate enough to hear him at NCTE. His constructivist theory is evident in all that he does in his teaching. 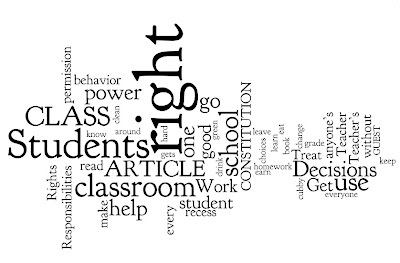 Dr. Tim Tyson has a blog that focuses on the work of his middle schoolers when he was principal. His focus is on student contribution and his respect for students and their work is amazing. Bill at Mr. Bass is a Technology Integration Specialist and shares thoughts on using tech in the classroom. We love the intro to Kevin's Meandering Mind. He says to readers "This blog is a place where I explore writing and teaching and technology. But I don’t like to go on such a journey by myself and I want you to come along as a companion." Bill Kist focuses on new medias and social networking. We are excited to learn from all of these educators and hope to add more as we continue on this learning journey. We love books and children's literature. And it will always be the anchor of our work. But we can't be comfortable being literacy teachers today without expanding our notion of what it means to be literate in the 21st Century and to learn from experts who have a different set of expertise. We have no idea where this new thinking will take us but we are confident that we'll learn some exciting things and open new possibilities for our students. We know that many of you are on the same journey--thinking about our teaching lives and how new tools will change things. Fisch has created TEAM SHIFT HAPPENS as a way to encourage people to give and to Pay It Forward. You can either make a $25 loan yourself, or, what I’d love to see, do the same thing that I’m doing (make a $25 loan, then purchase two $25 gift certificates and email them to folks you know and ask them to do the same). If you’re a blogger, also consider blogging about this and making the same request to your readers. I realize not everyone will be comfortable with that, or has $75 to spare, so please contribute what you can. If you wish, it would be great if you then add your loan so it counts toward Team Shift Happens so we can see what we can accomplish together, and leave a comment on this post. After reading lots on Kiva's website, I am convinced that this is a good place for me to donate a bit. This organization supports women in poverty. So, I have donated $25 to this woman in Guatemala. I wanted to donate something to the country of Guatemala so I searched the site and chose this woman's business. You can find a cause or a country that you are committed to helping and make your decision that way. I also purchased a Gift Certificate for Mary Lee so that she can choose an one of Kiva's entrepreneurs to lend to. Then I invited her to Pay It Forward by purchasing a gift certificate for someone else. I thought this idea was a good one and wanted to bring it to the Kidlitosphere and invite our readers to participate. The thing I love most about blogging is the way that it brings communities together. When we started this blog, authors and librarians were not part of our social and professional network. Now they are. As we begin to learn more about 21st century literacies, we find ourselves reading lots of tech/ed blogs. The learning communities are no longer separate and we love that about blogging. So this seemed like a perfect team to join:-) Hope you'll check it out. Thanksgiving vacation gave me some extra time to spend at the bookstore finding new books for the library. One that I am excited about is THE BIG BIGGER BIGGEST BOOK. I knew immediately that I liked it. Each spread shows an object with a word such as "FAST". When you lift or unfold the flap, you'll find a similar object with a new label (FASTER). Then you get to lift or unfold one more time for the completed illustration and the last word (FASTEST). The book is quite fun. The flap lifting is a bit different on each page depending on the object and the way it is defined. Some spreads unfold horizontally while others unfold vertically. The variety adds to the fun. The illustations are bright and colorful. Many use primary colors and the objects are all things that most kids are familiar with. I see this book being popular for lots of reasons. First of all, the fold-outs make it quite fun. For new readers, the picture clues will allow them to read the simple text on their own. ANd it will support concepts in size and measurement. I can also see using it when thinking about playing with words or thinking about word choice in writing. I am not sure how teachers will use it but I see lots of possibilities!